The next meeting of the ITIC Board of Directors will be held Monday, November 20 at 10:30 a.m. Click the link below for the meeting agenda and location information. ITIC Chief Technology Officer, Dr. Joachim Taiber, has been named an advisor to The IOTA Foundation. Billed as “The Next Generation Blockchain,” IOTA has developed a revolutionary platform for the IoT data economy that makes every technological resource a potential service to be traded on an open market in real time, with no fees. This allows technology developers – and eventually anyone – to safely and securely share IT tools and applications, data transmission, Masked Messaging (MAM), and shared use of “anything with a chip in it,” such as appliances, tools, drones and vehicles. As Chief Technology Officer of ITIC, Dr. Taiber is responsible for developing a global network of testbeds for automated, connected and sustainable vehicle technologies. A native of Germany, his extensive career in the automotive industry began with BMW AG in Munich where he was instrumental in planning the BMW Information Technology Research Center (ITRC) located at the Clemson University International Center for Automotive Research (CU-ICAR) in Greenville, S.C. Eventually, he was asked to lead the Innovation Office at ITRC where he and his team developed a multitude of IT innovation prototypes in the domain of mobile device applications, cloud services and vehicle-to-infrastructure services. In 2010, Dr. Taiber became a research professor and faculty member of the Department of Automotive Engineering at CU-ICAR. He created the Sustainable Mobility Institute, serving as its director and focusing on research activities in the domain of vehicle electrification, vehicle connectivity and vehicle-infrastructure interaction. Fostering a culture of innovation and new ideas comes from enabling creative people to think laterally. ITIC Chief Technology Officer Dr. Joachim Taiber and six other distinguished panelists will share how they do this for their respective organizations at the 8th Annual AmCham Germany Business Day on March 16. Held at the Porsche Experience Center in Atlanta, this year’s event is titled “Innovation Triangle: USA-Germany-Israel.” Speakers from all three countries will be featured throughout the day, sharing best practices designed to develop technological and business innovations. Formally called the American Chamber of Commerce in Germany, AmCham Germany strives to enhance global economic and trade relations built on a strong foundation of American and German partnership. Keynote speakers for the program are Dov Moran, an Israeli entrepreneur and investor best known as the inventor of the USB Flash Drive, and Ken Weinstein, President and CEO of the Hudson Institute, a conservative non-profit think tank based in Washington, D.C. that promotes new ideas for the advancement of global security, prosperity and freedom. More information about AmCham Germany is available here. For details about AmCham Germany Business Day, click here. HONG KONG, (November 23, 2016) — Dr. Joachim Taiber, Chief Technology Officer of the International Transportation Innovation Center (ITIC) in Greenville, S.C., will share his expertise on smart mobility at Hong Kong’s Smart City Executive Workshop on Wednesday, November 23. Hosted by Hong Kong’s Smart City Consortium, the workshop is an interactive session with renowned experts on smart city planning and design. Organizers intend for the workshop to help scale up practical urban solutions, shape new policies, deploy new technologies, embed new innovations and help partnerships flourish. Topics of discussion include smart infrastructure, smart mobility, smart living and smart care. The Smart City Executive Workshop will be held at the Hong Kong Science Park. 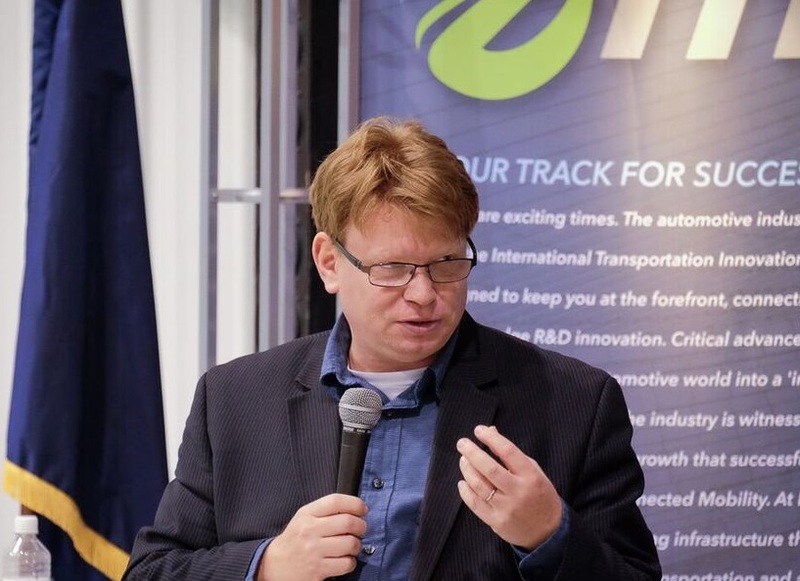 Dr. Joachim Taiber, Chief Technology Officer of the International Transportation Innovation Center (ITIC) in Greenville, S.C., was a featured speaker at the Eco-Mobility 2016 Conference in Vienna, Austria. Hosted by the Austrian Association for Advanced Propulsion Systems (A3PS), the two-day conference focused on the field of tension between technological feasibility and political trends. Speakers included representatives from OEMs including Porsche and Renault; energy suppliers such as Argonne; IT providers including Samsung; automotive suppliers such as Bosch; and technology policy institutions such as the Ministry of Transport and Telecommunications of Chile. A3PS is a public-private partnership between Austrian companies, R&D institutions and the Austrian Federal Ministry for Transport, Innovation and Technology promoting the development and market introduction of alternative propulsion systems and energy carriers. It hosts the annual Eco-Mobility Conference in part to establish collaborative solutions for sustainable transportation solutions for Austria. Dr. Taiber’s presentation addressed the paradigm shift currently underway that is moving the automotive industry from one that is vehicle-centric to one that is infrastructure-centric. Driven by the demand for connected, autonomous and zero-emission vehicles, smart city developments require the collaboration of city planners, architects, transportation, automotive and IT engineers. To ensure all vehicle-to-vehicle (V2V) and vehicle-to-infrastructure (V2I) systems are safe and effective, two types of test beds are needed: closed test beds that operate in private and secure environments; and open test beds that operate in portions of public, real-time environments. Dr. Taiber presented examples of both, which ITIC currently has in development in South Carolina, Florida, Munich and Trondheim, Norway. The International Transportation Innovation Center (ITIC) in Greenville, S.C. has signed a Memorandum of Understanding with Zaptec of Norway to mutually work on smart charging technology solutions for electric vehicles. Zaptec specializes in super compact power electronics. Its ­­­­­­­­­­smart charging technology is widely considered an increasingly important technological component for the electronic charging industry. Zaptec intends to develop and expand its R&D and manufacturing activities in North America and chose ITIC as a strategic partner due to its unique ability to test smart charging solutions in closed test beds and in urban and non-urban open environments with smart grid and next generation communication infrastructures. 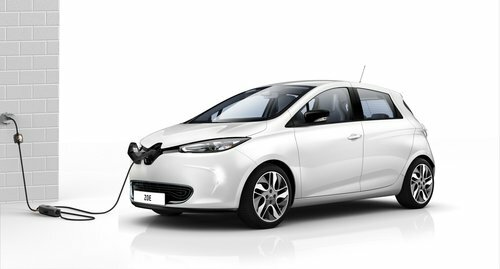 The collaboration with ITIC also allows Zaptec to test innovations such as bi-directional charging, fast charging and wireless charging. 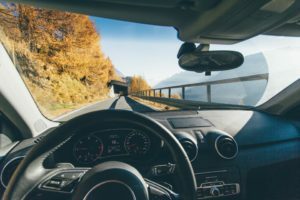 ITIC has successfully demonstrated wireless charging solutions with other R&D partners and is planning a significant expansion of its testing capabilities in connected driving, automated driving and zero-emission driving. This is in direct response to the automotive industry’s growing global investment in vehicle electrification, more intelligent charging processes, and smart city initiatives. In addition to bringing technological innovations to Zaptec’s EV testing, ITIC will also help drive standardization of Zaptec technologies with partners like SAE International and the Institute of Electrical and Electronics Engineers (IEEE).